Programming is hard. 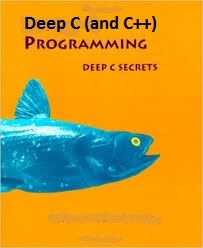 Programming correct C and C++ is particularly hard. Indeed, both in C and certainly in C++, it is uncommon to see a screenful containing only well defined and conforming code. Why do professional programmers write code like this? Because most programmers do not have a deep understanding of the language they are using. While they sometimes know that certain things are undefined or unspecified, they often do not know why it is so. In these slides we will study small code snippets in C and C++, and use them to discuss the fundamental building blocks, limitations and underlying design philosophies of these wonderful but dangerous programming languages. Olve Maudal works for a networking company developing systems for effective communication between people. His main interests are programming, mathematics, technology and science.